One of the all-time great alto players, Phil Woods, passed away yesterday (Sept. 29). Heard him live only once - North Sea Jazz Festival back in the 80's but many times on disc. The early 10" LPs with fellow altoist Gene Quill, the European Rhythm Machine with Gordon Beck and on to the various mainland Europe big bands. An ace player. However, what I think really endeared him to me and the wider public was his solo on Billy Joel's Just the Way You Are. Was there ever a more lyrical alto sax solo on a pop record? No - Baker St. doesn't even get close! He embodied the spirit of Charlie Parker, merging it into his own creative playing to become, until yesterday, the greatest living alto saxophone player. May he Rest In Peace - sadly missed throughout the jazz world. Phil Woods was never short of an observation as these quotes from our Bebop Spoken There archives show! 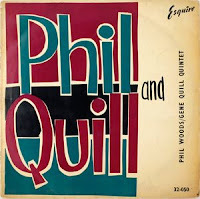 Phil Woods: "What do all these words mean? Avant garde, loft jazz, fusion, ultra fusion, Dixieland, trad, bebop. Our history is too short to have so many sub-divisions; we've gone through more periods than mankind has in 5,000 years, and jazz is not even 100 years old." - (Crescendo September 1977). Phil Woods: "My kids love the fact that I worked with Steely Dan and Paul Simon! They're much more impressed than about me working with Ben Webster." -(Crescendo September 1977). Phil Woods: “When Benny [Goodman] died John Frosk called Jerry Dodgion and said 'I've got some good news and some bad news. The good news is that Benny died last night. The bad news is that he died in his sleep'.”- (Jazz Journal October 1996). 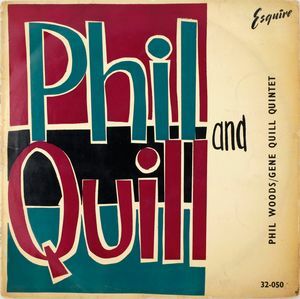 Phil Woods: "I'd inherited a horn from my uncle's will and had no interest in playing it. In fact, I planned to melt the saxophone and make toy soldiers out of it but my mom urged me to take lessons." - (Downbeat July 2007). Phil Woods: “I’m 79 with the body of a 78-year-old.” - Downbeat, February 2012.). CD Review: Carter Calvert – It’s a Man’s World. Tomorrow Night (Sept. 25) @ Hoochie Coochie! Empty Shop won't be empty on these two evenings! CD Review: Jeff Benedict Big Band - Holmes. CD Review: Liane Carroll – Seaside. CD Review: Pete McCann - Range. Check out what Claude Werner's doing these days. CD Review: Don Trudell Plays the Piano.